That giants held in trust. So begins the authorized version of the history of the Nine Worlds as told in the Prophecy of the Oracle. But this isn’t the authorized version. It’s Loki’s version. Loki: the Trickster, Father of Lies, not everyone’s best bud. Sure bad things happened to his friends, but it’s not always his fault. Things just sort of happen. He’s really not such a bad guy. He’d rather be thought of as Loki: the Light-Bringer, the Misunderstood, the Handsome, Modest Hero. 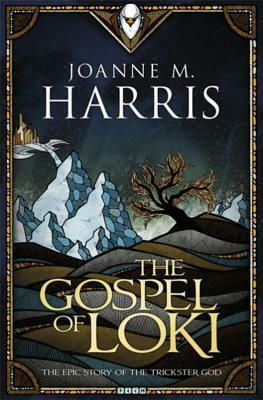 This retelling of the Norse myths is off the wall excellent. Of course, being about Norse Gods, it is full of blood and gore, and much of the humor is dark. But I liked it very much and it’s suitable for older teens. This entry was posted in adult and tagged Loki, Norse Mythology. Bookmark the permalink.